Michelle Siev founded Macomb Counseling Services, LLC in April 2015. She has been working as a professional counselor since 2013 and is licensed through the state of Michigan and is also a National Board Certified Counselor. Michelle received her Bachelor’s degree from the University of Michigan in 1993 with a major in English Literature and a minor in Spanish and then worked as a high school English and Spanish teacher at Port Huron High School for three years. After taking time off to be a stay at home mother, Michelle went on to earn her Master’s degree in Counseling from Oakland University. Prior to opening Macomb Counseling Services, LLC, Michelle worked at Communicare Michigan, LLC, for nearly 3 years providing cognitive therapy and mental health counseling for individuals with traumatic brain injury and other neurological impairments. 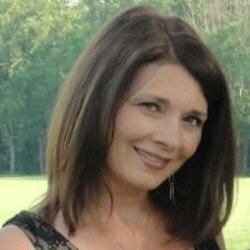 Michelle has experience working with children, adolescents, adults, couples, and families in areas of mood, anxiety, and thought disorders, neurobehavioral concerns related to traumatic brain injury, relationship issues, blended family issues, divorce issues, behavioral issues, academic concerns, life transitions, grief and loss, and sexual abuse.